Fewer abstractions = less to learn before getting started. Simpler = less time cost on plumbing, tooling; faster to build something more useful. Less time required = more tinkerable by more people, especially those with less spare time on the margins = more inclusive and accessible. * The IndieWeb Building Blocks approach (https://indieweb.org/building-blocks) rather than a monolithic "Stack"
Choosing explicitly simpler approaches is more than just being smart & efficient, it’s ethically the right thing to do. Simpler is a sociopolitical choice to deliberately provide more creative agency to more people. Beyond just more usable by more people, simpler technologies enable more people to build, adapt, alter, evolve their own tools of creation, rather than depending on a select privileged few to do so. "html": "Great <a class=\"h-cassis-username\" href=\"https://twitter.com/mxbck\">@mxbck</a> post On Simplicity <a href=\"https://mxb.at/blog/on-simplicity/\">https://mxb.at/blog/on-simplicity/</a> via <a class=\"h-cassis-username\" href=\"https://twitter.com/adactio\">@adactio</a><br /><br />Additionally: simpler approaches are more inclusive &amp; accessible, e.g. #<span class=\"p-category\">microformats</span> &amp; #<span class=\"p-category\">indieweb</span><br /><br />Fewer abstractions = less to learn before getting started.<br /><br />Simpler = less time cost on plumbing, tooling; faster to build something more useful.<br /><br />Less time required = more tinkerable by more people, especially those with less spare time on the margins = more inclusive and accessible.<br /><br />The <a class=\"h-cassis-username\" href=\"https://twitter.com/microformats\">@microformats</a> and <a class=\"h-cassis-username\" href=\"https://twitter.com/indiewebcamp\">@indiewebcamp</a> communities have deliberately chosen explicitly simpler approaches:<br />* <a href=\"http://microformats.org/wiki/start-simple\">microformats.org/wiki/start-simple</a><br />* making #<span class=\"p-category\">microformats2</span> even simpler: <a href=\"http://microformats.org/wiki/microformats2-origins#can_we_make_the_simplest_case_simpler\">microformats.org/wiki/microformats2-origins#can_we_make_the_simplest_case_simpler</a><br />* The IndieWeb Building Blocks approach (<a href=\"https://indieweb.org/building-blocks\">https://indieweb.org/building-blocks</a>) rather than a monolithic \"Stack\"<br /><br />Choosing explicitly simpler approaches is more than just being smart &amp; efficient, it\u2019s ethically the right thing to do.<br /><br />Simpler is a sociopolitical choice to deliberately provide more creative agency to more people. Beyond just more usable by more people, simpler technologies enable more people to build, adapt, alter, evolve their own tools of creation, rather than depending on a select privileged few to do so.<br /><br />Previously, previously:<br />* <a href=\"http://tantek.com/2018/309/t1/complexity-reinforces-privilege\">tantek.com/2018/309/t1/complexity-reinforces-privilege</a><br />* <a href=\"http://tantek.com/2010/034/t3/simplicity\">tantek.com/2010/034/t3/simplicity</a>"
"html": "<a class=\"h-cassis-username\" href=\"https://twitter.com/dustyweb\">@dustyweb</a> <a class=\"h-cassis-username\" href=\"https://twitter.com/sl007\">@sl007</a> great! Always awesome when hackathon demos work!<br />Any photos from y\u2019all or the demo(s) at #<span class=\"p-category\">wizardstower2019</span>? <br /><br />If you can post or link one in the next 30 min we should be able to get it into the This Week In The #<span class=\"p-category\">IndieWeb</span> newsletter." We are launching several major new features for blog hosting on Micro.blog today. Any one of these features alone is a big change, and together I hope they will serve as a great foundation for years to come. The goal was to make blog hosting faster and more flexible for new features. Custom templates: All the themes have been rewritten with extensibility in mind. As some of you may know, Micro.blog-hosted blogs were originally built on Jekyll. They now use Hugo. There’s an interface in Micro.blog for editing any of the built-in templates, or adding new ones for your own HTML or CSS. Click Posts → Design → Edit Themes. Categories: You can create a new category for your blog under Posts → Categories, and those categories will appear when editing a post or when creating a longer post with a title. We hide the category options be default when you are composing a short post, but in the new macOS app you can show the categories by choosing View → Categories. A list of your categories will appear at the top of Archive on your blog for readers to browse. Auto-filter photos into a category: If you create a category like “Photos” or “Photography”, Micro.blog will offer to automatically assign this category when posting a new photo. Behind the scenes this is based on a new filtering system that will enable more features for other types of content in the future. API for categories: I’ve added categories support to both the MetaWeblog XML-RPC API and the Micropub API. This means that categories work great with MarsEdit. Categories are also included in your default JSON Feed in the “tags” field. Sharing themes: When creating a new custom theme, you can choose to clone it from an existing GitHub repository. This will allow someone to create a completely custom theme and share it with other members of the community. There’s a “Blank” design if you are starting from scratch with your own templates. New theme: I used the open source theme Arabica when testing these new features, and it’s now an option under Posts → Design. It’s a clean, simple design ported from Ghost. 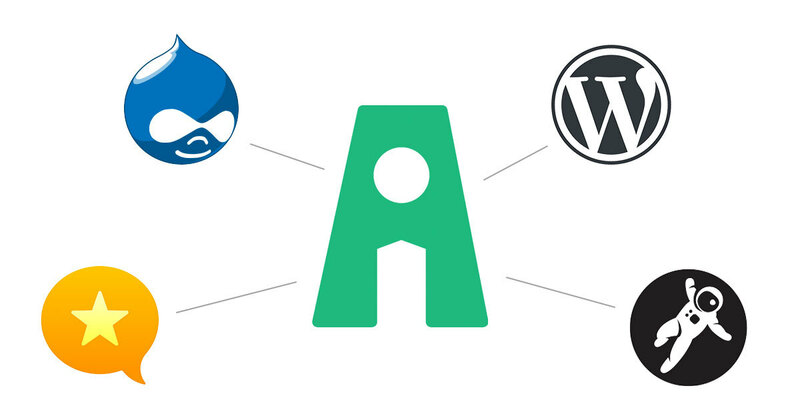 Open source changes: All our themes for Micro.blog are available on GitHub. I have decided to keep the forked Jekyll repositories and completely replace the files with the Hugo version. I have mixed feelings about this, since the themes have diverged so much that they are no longer useful to the original authors, but I felt this was the best way to give credit to them for the designs, in addition to our credits page on Micro.blog. Moving special pages: Micro.blog has some special pages like “About” and “Archive”. You can now re-order or even delete these under Posts → Pages. Combined with custom themes, this gives much more flexibility in customizing the navigation for your site. We’ll be writing more about these new features in blog posts and the help site. If you notice any problems, please let me know. Thank you! "text": "We are launching several major new features for blog hosting on Micro.blog today. Any one of these features alone is a big change, and together I hope they will serve as a great foundation for years to come. The goal was to make blog hosting faster and more flexible for new features.\n\nCustom templates: All the themes have been rewritten with extensibility in mind. As some of you may know, Micro.blog-hosted blogs were originally built on Jekyll. They now use Hugo. There\u2019s an interface in Micro.blog for editing any of the built-in templates, or adding new ones for your own HTML or CSS. Click Posts \u2192 Design \u2192 Edit Themes.\n\n\n\nCategories: You can create a new category for your blog under Posts \u2192 Categories, and those categories will appear when editing a post or when creating a longer post with a title. We hide the category options be default when you are composing a short post, but in the new macOS app you can show the categories by choosing View \u2192 Categories. A list of your categories will appear at the top of Archive on your blog for readers to browse.\n\n\n\nAuto-filter photos into a category: If you create a category like \u201cPhotos\u201d or \u201cPhotography\u201d, Micro.blog will offer to automatically assign this category when posting a new photo. Behind the scenes this is based on a new filtering system that will enable more features for other types of content in the future.\n\n\n\nAPI for categories: I\u2019ve added categories support to both the MetaWeblog XML-RPC API and the Micropub API. This means that categories work great with MarsEdit. Categories are also included in your default JSON Feed in the \u201ctags\u201d field.\n\n\n\nSharing themes: When creating a new custom theme, you can choose to clone it from an existing GitHub repository. This will allow someone to create a completely custom theme and share it with other members of the community. There\u2019s a \u201cBlank\u201d design if you are starting from scratch with your own templates.\n\nNew theme: I used the open source theme Arabica when testing these new features, and it\u2019s now an option under Posts \u2192 Design. It\u2019s a clean, simple design ported from Ghost.\n\nOpen source changes: All our themes for Micro.blog are available on GitHub. I have decided to keep the forked Jekyll repositories and completely replace the files with the Hugo version. I have mixed feelings about this, since the themes have diverged so much that they are no longer useful to the original authors, but I felt this was the best way to give credit to them for the designs, in addition to our credits page on Micro.blog.\n\nMoving special pages: Micro.blog has some special pages like \u201cAbout\u201d and \u201cArchive\u201d. You can now re-order or even delete these under Posts \u2192 Pages. Combined with custom themes, this gives much more flexibility in customizing the navigation for your site.\n\nWe\u2019ll be writing more about these new features in blog posts and the help site. If you notice any problems, please let me know. Thank you!" @splorp @orlandomediaco we do have the #IndieWeb Summit planned for June 29-30 in Portland, Oregon, a bit closer to you. Join us! Would be great to have you! Chat in https://chat.indieweb.org/ if you have any questions! "html": "<a class=\"h-cassis-username\" href=\"https://twitter.com/splorp\">@splorp</a> <a class=\"h-cassis-username\" href=\"https://twitter.com/orlandomediaco\">@orlandomediaco</a> we do have the #<span class=\"p-category\">IndieWeb</span> Summit planned for June 29-30 in Portland, Oregon, a bit closer to you. Join us! 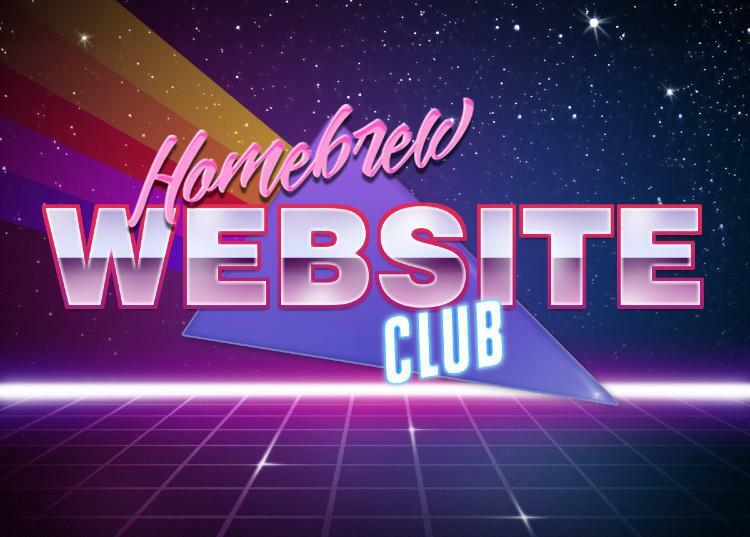 Would be great to have you!<br /><br /><a href=\"https://indieweb.org/2019\">https://indieweb.org/2019</a><br /><br />Chat in <a href=\"https://chat.indieweb.org/\">https://chat.indieweb.org/</a> if you have any questions!" "html": "oooh I just saw this on twitter and now I want <a href=\"https://indiepay.me\">indiepay.me</a> to do it too....<br /><br /><img alt=\"\" src=\"https://aperture-proxy.p3k.io/643cd12aa58805d90f5e45b486dc4cc8b5109dc3/68747470733a2f2f756e696379636c69632e636f6d2f6d616c2f7075626c69632f746970626f742e706e67\" />"
"html": "<p>\nWhen: <time class=\"dt-start\">2019-02-06 17:30</time>\u2026<time class=\"dt-end\">19:30</time><span>\nWhere: <a class=\"u-location h-card\" href=\"https://wiki.mozilla.org/SF\">Mozilla San Francisco</a>\n</span>\nHost: <a class=\"u-organizer h-card\" href=\"http://tantek.com/\">Tantek \u00c7elik</a>\n</p>\n\n<p>\n17:30: Optional writing hour and quiet socializing<br />\n18:30: IndieWeb demos and hack night!<br /></p>\n<p><img class=\"u-featured\" style=\"height:300px;\" src=\"https://aperture-media.p3k.io/indieweb.org/c24f7b1e711955ef818bde12e2a3e79708ecc9b106d95b460a9fefe93b0be723.jpg\" alt=\"Homebrew Website Club retro 1980s-style logo\" /></p>\n<p>Topics for this week:</p>\n<ul><li><a href=\"https://indieweb.org/2019-01-01-commitments\">Year-end hack projects</a></li>\n<li>\n<a href=\"https://indieweb.org/2018-12-indieweb-challenge\">2018 IndieWeb Challenge</a> completed!</li>\n<li>Demos of personal website breakthroughs</li>\n<li>Create or update your personal web site!</li>\n</ul><p>\nJoin a community with like-minded interests. Bring friends that want a personal site, or are interested in a healthy, independent web!\n</p>\n<p>\nAny questions? Ask in \n<a href=\"https://indieweb.org/discuss\">#indieweb Slack or IRC</a>\n</p>\n<p>\nMore information: \n<a class=\"u-url\" href=\"https://indieweb.org/events/2019-02-06-homebrew-website-club\">IndieWeb Wiki Event Page</a>\n</p>\n<p>\nRSVP:  post an <a href=\"https://indieweb.org/rsvp\">indie RSVP</a> on your own site!\n</p>"
Feel free to create its own wiki page. Remember to take photos of the group, ask folks to take photos of your talk! "html": "<a class=\"h-cassis-username\" href=\"https://twitter.com/jackjamieson\">@jackjamieson</a> awesome! I added your talk on bridging open web and social media to the #<span class=\"p-category\">IndieWeb</span> wiki events page: <a href=\"https://indieweb.org/Events#jackjamieson-2019-030\">https://indieweb.org/Events#jackjamieson-2019-030</a><br />Feel free to create its own wiki page.<br /><br />Remember to take photos of the group, ask folks to take photos of your talk!" "html": "<p><strong>\ufeff\u2026farewell <em>\u201ePfefferles OpenWeb\u201c</em>!</strong></p>\n\n\n\n<p>Das SCREENGUIDE Magazin wurde \u201eaus wirtschaftlichen Gr\u00fcnden\u201c eingestellt und Heft 39 war somit die letzte Ausgabe \ud83d\ude22</p>\n\n\n\n\n<blockquote>\n<p lang=\"de\" dir=\"ltr\" xml:lang=\"de\">Schlechte Nachrichten. Leider m\u00fcssen wir die Screenguide aus wirtschaftlichen Gr\u00fcnden einstellen. Das Magazin tr\u00e4gt sich mit seinen Abo-Ums\u00e4tzen nicht mehr selbst. Das hei\u00dft, die aktuelle Ausgabe 39 ist damit auch die letzte Ausgabe.</p>\u2014 SCREENGUIDE (@screengui_de) <a href=\"https://twitter.com/screengui_de/status/1017736191515463680?ref_src=twsrc%5Etfw\">July 13, 2018</a>\n</blockquote>\n<p>Das ganze ist jetzt zwar schon eine <a href=\"https://notiz.blog/2019/01/08/zwanzigachtzehn/\">ganze Weile her</a>, ich hab aber trotzdem das Bed\u00fcrfnis noch einmal in Erinnerungen zu schwelgen\u2026</p>\n\n\n\n<p>Vor 10 Jahren schrieb ich meinen <a href=\"https://notiz.blog/2009/03/27/webstandards-magazin-und-microformats/\">ersten Print-Artikel</a> f\u00fcr die erste Ausgabe des Magazins, damals noch <a href=\"https://notiz.blog/tag/webstandards-magazin/\">Webstandards-Magazin</a>. Seit dem war ich in jeder Ausgabe (naja, eine hab\u2018 ich ausgelassen) mit mindestens einem Artikel vertreten.</p>\n\n\n\n<p>Zusammengefasst sind das:<br /></p>\n\n\n\n<ul><li><a href=\"https://notiz.blog/tag/kolumne/\">36 Kolumnen</a></li>\n<li>10 Jahre</li>\n<li>3 Artikel</li>\n<li><a href=\"https://notiz.blog/2015/04/02/indieweb-die-daten-sind-wir/\">1 Titelthema</a></li>\n<li>1 Interview<br /></li>\n</ul><h2>Semantic Surfing</h2>\n\n\n\n<p>In meinem ersten Artikel vom Februar 2009 hab ich versucht den Mehrwert von Microformats zu beschreiben. Die Webstandards-Redaktion hat mir den Einstieg ins Schreiben dabei sehr einfach gemacht. Ansgar Hein (Chefredakteur) und Sylvia Egger (Redakteurin) waren tolle, freundliche Antreiber und Lektoren, das Thema war absolute Komfort-Zone und mit Michael Jendrischik (Autor) hatte ich einen erfahrenen Sparringspartner.</p>\n\n\n\n<img src=\"https://aperture-proxy.p3k.io/c4365a1562943145cdb388f6720c88518e30789f/68747470733a2f2f6e6f74697a2e626c6f672f77702d636f6e74656e742f75706c6f6164732f323031392f30312f7765627374616e64617264732d6d6167617a696e2d6d6963726f666f726d6174732d393030783637352e6a7067\" alt=\"\" /><p><a href=\"http://jendryschik.de/\">Michael Jendryschik</a> schrieb \u00fcber RDFa und ich \u00fcber Microformats (<em><a href=\"https://notiz.blog/2009/03/27/webstandards-magazin-und-microformats/\">Semantic Surfing</a></em>) und da beide Themen sehr nah beieinander lagen, haben wir uns viel ausgetauscht. Das half mir zum Einen beim schreiben und zum Anderen hatten wir so die M\u00f6glichkeit den jeweils anderen Artikel zu referenzieren. Dadurch entstand eine Art \u201eprinted Hyperlinking\u201c!</p>\n\n\n\n<p>Ansgar Hein hat das Ergebnis in einer Folge des <a href=\"http://technikwuerze.de/podcast/technikwuerze136/\">Technikw\u00fcrze Podcasts</a> folgenderma\u00dfen beschrieben:</p>\n\n\n\nTechnikw\u00fcrze 136: Ansgar Hein und David Maciejewski sprechen \u00fcber beide Artikel<p>Auch wenn er nicht gleich auf meinen Namen kam \ud83d\ude42</p>\n\n\n\n<p>Danke Sylvia, dass du mich damals angeschrieben hast!</p>\n\n\n\n<h2>IndieWeb \u2013 Die Daten sind wir!</h2>\n\n\n\n<img src=\"https://aperture-proxy.p3k.io/68e5f6e818d5071420dcd9f127ac355504d0908c/68747470733a2f2f6e6f74697a2e626c6f672f77702d636f6e74656e742f75706c6f6164732f323031352f30342f726973652d6f662d7468652d696e6469657765622d363030783530392e706e67\" alt=\"\" /><p>Es freut mich immernoch sehr, dass das <a href=\"https://abo.screengui.de/einzelhefte/screenguide-26.html\">SCREENGUIDE Magazin</a> im Allgemeinen, und <a href=\"http://nicolaischwarz.de/\">Nicolai</a> (Projektleiter) im Speziellen, der IndieWeb Idee so viel Platz einger\u00e4umt haben!</p>\n\n\n\n<p>Das IndieWeb war damals (<a href=\"https://notiz.blog/2015/04/02/indieweb-die-daten-sind-wir/\">2015</a>) wie heute eher ein Nischen-Thema und trotzdem hat das Magazin eine Titel-Story daraus gemacht. Mit mehr als 7 Seiten war der Artikel auch mit Abstand der l\u00e4ngste den ich bisher f\u00fcr ein Print-Magazin geschrieben habe.</p>\n\n\n\n<p>Kurz nach der Ver\u00f6ffentlichung kam \u00fcbrigens auch ein Schwester-Magazin auf mich zu, ob ich den Artikel nicht auf 2 Seiten zusammenfassen k\u00f6nne und so hat sogar das eher antiquierte PC-Magazin \u00fcber das IndieWeb berichtet \ud83d\ude42</p>\n\n\n\n<h2>Websemantics</h2>\n\n\n\n<p>Fast genau 8 Jahre nach dem ersten Artikel durfte ich 2017 noch einmal \u00fcber Websemantics schreiben. Im Gegensatz zu <em>Semantic Surfing</em>, wo es ausschlie\u00dflich um Microformats ging, gibt <em>Websemantics</em> eher einen groben \u00dcberblick, in dem aber auch Microformats ihren \u201eAuftritt\u201c hatten.<br /></p>\n\n\n\n<p>H\u00e4tte ich das damals gewusst, dass mein erster und letzter Artikel das gleiche Thema behandeln, h\u00e4tte ich es nat\u00fcrlich in den Text einflie\u00dfen lassen \ud83d\ude42</p>\n\n\n\n<h2>Webstandards W\u00fcrze / Pfefferles OpenWeb</h2>\n\n\n\n<p>Dank <a href=\"https://twitter.com/sprungmarkers\">Sylvia Egger</a> (und wahrscheinlich dem <a href=\"http://openwebpodcast.de\">OpenWebPodcast</a>) durfte ich seit 2009 die Kolumne <strong><em>Pfefferles OpenWeb</em></strong> schreiben, in der ich einmal im Quartal \u00fcber die Neuigkeiten im <a href=\"https://notiz.blog/tag/openweb/\">OpenWeb</a> berichtete.</p>\n\n\n\n<p>Danke hier auch nochmal an Ansgar Hein, J\u00f6rg Morsbach (Redakteur) und <a href=\"http://nicolaischwarz.de\">Nicolai Schwarz</a>, dass ich die Kolumne so lange schreiben durfte und das nahezu ohne jegliche Vorgaben oder Einschr\u00e4nkungen.</p>\n\n\n\n<img src=\"https://aperture-proxy.p3k.io/bd34c4cfc1d870119b3d858fa41f3104354ad8b0/68747470733a2f2f6e6f74697a2e626c6f672f77702d636f6e74656e742f75706c6f6164732f323031382f30312f73637265656e67756964652d6b6f6c756d6e652d393030783630302e6a7067\" alt=\"\" /><p>Ich habe die letzten 10 Jahre lang, jedes Quartal \u00fcber OpenID, OAuth, Microformats, IndieWeb, OpenWeb, W3C, Fediverse, OStatus, RDFa, HTML5, OpenGraph, Facebook, DSGVO, BrowserID, DataPortability, Open Social, Diaspora, DiSo, Microblogging, Websemantics, Twitter Cards, Schema.org, Microdata, Single-Sign-on, AMP, OEmbed, Ind.ie, Google, Twitter, Blogs, Ello, WhatsApp, RSS, Webmentions, Pingbacks, App.net, Synaptic Web, Online Identity, Persona, Mozilla, Open Stack und Portable Contacts berichtet.</p>\n\n\n\n<p>Das hei\u00dft, ich hab \u00fcber/durch/mit <strong><em>Pfefferles OpenWeb</em></strong> eine ganze Menge gelernt. Das schwierigste war das Schreiben an sich, dazu kam dann noch der Anspruch immer neue und vor allem aktuelle Themen zu behandeln.</p>\n\n\n\n<p>Es freut mich, dass ich damit auch nicht immer ganz falsch lag:</p>\n\n\n\n\n<blockquote>\n<p lang=\"de\" dir=\"ltr\" xml:lang=\"de\">hat eben ein Abo f\u00fcr das Webstandards Magazin abgeschlossen, um mehr von <a href=\"https://twitter.com/pfefferle?ref_src=twsrc%5Etfw\">@pfefferle</a> zu lesen! \ud83d\ude09 https://www.webstandards-magazin.de/</p>\u2014 dickelippe (@dickelippe) <a href=\"https://twitter.com/dickelippe/status/6064875222?ref_src=twsrc%5Etfw\">November 25, 2009</a>\n</blockquote>\n\n<blockquote>\n<p lang=\"de\" dir=\"ltr\" xml:lang=\"de\">Schade, dass die letzte Kolumne von <a href=\"https://twitter.com/pfefferle?ref_src=twsrc%5Etfw\">@pfefferle</a> nur f\u00fcr K\u00e4ufer der <a href=\"https://twitter.com/screengui_de?ref_src=twsrc%5Etfw\">@screengui_de</a> zu haben ist. Sehr lesenswert! <a href=\"https://twitter.com/hashtag/indiephone?src=hash&amp;ref_src=twsrc%5Etfw\">#indiephone</a></p>\u2014 Christian Richter (@chRi____) <a href=\"https://twitter.com/chRi____/status/626428856652722176?ref_src=twsrc%5Etfw\">July 29, 2015</a>\n</blockquote>\n\n<blockquote>\n<p lang=\"de\" dir=\"ltr\" xml:lang=\"de\">Tolle Kolumne von <a href=\"https://twitter.com/pfefferle?ref_src=twsrc%5Etfw\">@pfefferle</a> in der neuen <a href=\"https://twitter.com/screengui_de?ref_src=twsrc%5Etfw\">@screengui_de</a>  <a href=\"https://twitter.com/hashtag/sg13?src=hash&amp;ref_src=twsrc%5Etfw\">#sg13</a>-92</p>\u2014 Matthias Gutjahr (@mattsches) <a href=\"https://twitter.com/mattsches/status/180378154911793153?ref_src=twsrc%5Etfw\">March 15, 2012</a>\n</blockquote>\n\n<blockquote>\n<p lang=\"de\" dir=\"ltr\" xml:lang=\"de\">am besten gefallen im aktuellen <a href=\"https://twitter.com/webstandardsmag?ref_src=twsrc%5Etfw\">@webstandardsmag</a> <a href=\"https://twitter.com/pfefferle?ref_src=twsrc%5Etfw\">@pfefferle</a> Kolumne <a href=\"https://twitter.com/hashtag/wsm0911?src=hash&amp;ref_src=twsrc%5Etfw\">#wsm0911</a>-86</p>\u2014 Sylvia Egger (@sprungmarkers) <a href=\"https://twitter.com/sprungmarkers/status/52636198895751168?ref_src=twsrc%5Etfw\">March 29, 2011</a>\n</blockquote>\n\n<blockquote>\n<p lang=\"de\" dir=\"ltr\" xml:lang=\"de\"><a href=\"https://twitter.com/pfefferle?ref_src=twsrc%5Etfw\">@pfefferle</a> gerne \u2013 informativ und pointiert \u2013 so soll ne Kolumne sein</p>\u2014 Sylvia Egger (@sprungmarkers) <a href=\"https://twitter.com/sprungmarkers/status/52707288112300032?ref_src=twsrc%5Etfw\">March 29, 2011</a>\n</blockquote>\n\n<blockquote>\n<p lang=\"de\" dir=\"ltr\" xml:lang=\"de\">finde die Kolumne vom <a href=\"https://twitter.com/pfefferle?ref_src=twsrc%5Etfw\">@pfefferle</a> im  Webstandarts-Magazin super..</p>\u2014 Christian (@weyandch) <a href=\"https://twitter.com/weyandch/status/4341912336?ref_src=twsrc%5Etfw\">September 24, 2009</a>\n</blockquote>\n<p>Die Schreiberei hat mir jedenfalls eine Menge Spa\u00df gemacht und die Kolumne wird mir sehr fehlen!</p>\n\n\n\n<p>Sollte jemand zuf\u00e4llig ein neues Zuhause f\u00fcr <strong><em>Pfefferles OpenWeb</em></strong> haben, kann er sich nat\u00fcrlich gerne bei mir <a href=\"https://notiz.blog/kontakt/\">melden</a>!</p>"
"html": "<p>My website daemon ate almost half of the Raspberry Pi RAM... <a class=\"u-category\">#wtf</a> <a class=\"u-category\">#homelab</a> <a class=\"u-category\">#indieweb</a> <a class=\"u-category\">#python</a> <a class=\"u-category\">#server</a> <a class=\"u-category\">#raspberrypi</a> <a class=\"u-category\">#flask</a></p>"
"html": "It's been <a href=\"https://unicyclic.com/mal/2018-12-16-Some_reader_progress_channels_are_now_working_I\">over a month</a> since I added channels to my reader, but I didn't use them initially. I've added some new features though which have changed my reading habits completely!<br /><br />\nWhat I really wanted was to split silo feeds into different channels based on author. Without this I would mostly be viewing the silos channel since that gets such a large number of posts. To do that, I've added hovercards to authors so I can set their channel while reading. You can see from the screenshot that <a href=\"https://twitter.com/letsencrypt\">@letsencrypt</a> has been added to the tech channel, instead of it's default in the silos channel for the rest of the twitter feed.<br /><br />\nI've gone through my silo authors and added them to tech, news or friends and this simple breakdown has been great so far. The other thing I've added is unread status, it doesn't have to show a count to highlight that there are unread items, which is configurable per channel. I like that it's quite simple, when you change channels the unread count resets, it doesn't save unread status per item.<br /><br />\nNow that the underlying structure is in place the next step is to finish adding Microsub support.<a href=\"https://brid.gy/publish/twitter\"></a><a href=\"https://twitter.com/malcolmblaney/status/1089360559819108357\" class=\"u-syndication\"></a>"
attending A Grand Re-Opening of the Public Domain @InternetArchive! Great talks by @lessig @han @brewster_kahle @doctorow & more! "html": "attending A Grand Re-Opening of the Public Domain <a class=\"h-cassis-username\" href=\"https://twitter.com/InternetArchive\">@InternetArchive</a>! Great talks by <a class=\"h-cassis-username\" href=\"https://twitter.com/lessig\">@lessig</a> <a class=\"h-cassis-username\" href=\"https://twitter.com/han\">@han</a> <a class=\"h-cassis-username\" href=\"https://twitter.com/brewster_kahle\">@brewster_kahle</a> <a class=\"h-cassis-username\" href=\"https://twitter.com/doctorow\">@doctorow</a> &amp; more! <br /><br />Proud of public domain community work:<br />#<span class=\"p-category\"><a href=\"http://microformats.org\">microformats.org</a></span> ^1 <br />#<span class=\"p-category\"><a href=\"http://indieweb.org\">indieweb.org</a></span> since founding^2 <br /><br />#<span class=\"p-category\">PublicDomainDay</span><br /><br />^1 Since 2007-12-29: <a href=\"http://microformats.org/2007/12/29/making-open-standards-as-open-as-possible\">microformats.org/2007/12/29/making-open-standards-as-open-as-possible</a><br />^2 Since founding in 2011! <a href=\"https://indieweb.org/IndieWeb:Copyrights\">https://indieweb.org/IndieWeb:Copyrights</a>"
@tw2113 @microformats still worth it (search engines still support), and valid! For new sites, also include #microformats2 markup; it’s even more useful for #indieweb support, #webmentions etc. "html": "<a class=\"h-cassis-username\" href=\"https://twitter.com/tw2113\">@tw2113</a> <a class=\"h-cassis-username\" href=\"https://twitter.com/microformats\">@microformats</a> still worth it (search engines still support), and valid!<br /><br />For new sites, also include #<span class=\"p-category\">microformats2</span> markup; it\u2019s even more useful for #<span class=\"p-category\">indieweb</span> support, #<span class=\"p-category\">webmentions</span> etc.<br /><br /><a class=\"h-cassis-username\" href=\"https://twitter.com/emilylewis\">@emilylewis</a> perhaps time for a 2nd ed. with microformats2? Happy to tech edit :0<br /><br />See also: <a href=\"http://microformats.org/wiki/faq#When_should_I_use_microformats2_or_microformats1\">microformats.org/wiki/faq#When_should_I_use_microformats2_or_microformats1</a>"
hosting Homebrew Website Club #SF @MozSF tonight! "html": "hosting Homebrew Website Club #<span class=\"p-category\">SF</span> <a class=\"h-cassis-username\" href=\"https://twitter.com/MozSF\">@MozSF</a> tonight!<br /><br />One year ago today: #<span class=\"p-category\">IndieWeb</span> building blocks published <a class=\"h-cassis-username\" href=\"https://twitter.com/W3C\">@W3C</a>:<br />* #<span class=\"p-category\">IndieAuth</span> #<span class=\"p-category\">W3C</span> Note: <a href=\"https://www.w3.org/TR/2018/NOTE-indieauth-20180123/\">https://www.w3.org/TR/2018/NOTE-indieauth-20180123/</a><br />* #<span class=\"p-category\">WebSub</span> W3C Recommendation! <a href=\"https://twitter.com/t/status/956354767596539904\">https://twitter.com/t/status/956354767596539904</a> (formerly <a class=\"h-cassis-username\" href=\"https://twitter.com/pubsubhubbub\">@pubsubhubbub</a> #<span class=\"p-category\">pubsubhubbub</span>)"
"html": "It's already been a year since <a href=\"https://aaronparecki.com/tag/indieauth\">#<span class=\"p-category\">IndieAuth</span></a> was published as a <a href=\"https://twitter.com/W3C\">@W3C</a> Note! Support from new services and some new plugins as well! <a href=\"https://aaronparecki.com/2019/01/23/22/indieauth\"><span>https://</span>aaronparecki.com/2019/01/23/22/indieauth</a>"
"html": "<p>\n  It's already been a year since <a href=\"https://indieauth.net\">IndieAuth</a> was published as a <a href=\"https://www.w3.org/TR/indieauth/\">W3C Note</a>! A lot has happened in that time! 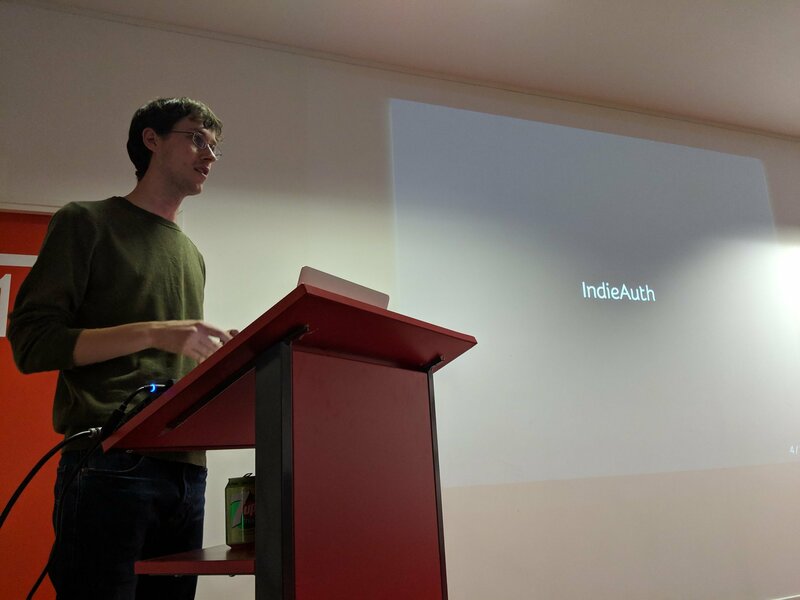 There's been several new plugins and services launch support for IndieAuth, and it's even made appearances at several events around the world!\n</p>\n\n<img src=\"https://aperture-media.p3k.io/aaronparecki.com/2c71eeae36192e89d05a7359fb2bc0bbf09f6201a9df5ea585d009d80bb11398.jpg\" alt=\"\" class=\"u-featured\" /><ul><li>Micro.blog <a href=\"http://manton.micro.blog/2018/07/02/indieauth-for-microblog.html\">added native support for IndieAuth</a>, so your hosted micro.blog account is now also an IndieAuth provider</li>\n  <li>\n<a href=\"https://dobrado.net/documentation\">Dobrado</a> launched native support for IndieAuth</li>\n  <li>The\u00a0<a href=\"https://www.drupal.org/project/indieweb\">IndieAuth Plugin for Drupal</a>\u00a0launched in the beginning of the year, and has had several releases since then</li>\n  <li>The\u00a0<a href=\"https://github.com/metbril/grav-plugin-indieauth\">IndieAuth Plugin for Grav</a>\u00a0adds support to your Grav site by delegating to indieauth.com</li>\n  <li>The\u00a0<a href=\"https://wordpress.org/plugins/indieauth/\">IndieAuth Plugin for WordPress</a>\u00a0had a <a href=\"https://david.shanske.com/2018/04/07/indieauth-for-wordpress/\">major rewrite</a> and supports IndieAuth natively now</li>\n</ul><p>I presented IndieAuth at the\u00a0<a href=\"https://indieweb.org/events/2018-12-10-w3c-workshop-authentication-identity\">W3C Workshop on Strong Authentication &amp; Identity</a> in December, and even published a <a href=\"https://www.youtube.com/watch?v=EeCNlB7v08I\">video of the talk</a>\u00a0afterwards!</p>\n\n<img src=\"https://aperture-media.p3k.io/aaronparecki.com/9eea0ab37b3bad20b45a24258d71037b3f364f00ae0f26af92852ae792d263be.jpg\" alt=\"\" /><a href=\"https://twitter.com/ConnectorKaren/status/1072224287744974848\">photo by Karen Myers</a><p>At API Days Global, oauth.io <a href=\"https://twitter.com/OAuth_io/status/1023746803395514368\">presented a session</a> including IndieAuth.</p>\n\n<p>Josh Hawxwell gave a talk at NottsJS called <a href=\"https://www.meetup.com/NottsJS/events/qhnpfqyzcblb/\">Indie What?</a>\u00a0where he covered several IndieWeb building blocks including IndieAuth.</p>\n\n<img src=\"https://aperture-media.p3k.io/aaronparecki.com/34c3236f9f507c3916ce6f6ee63669d44ac7d2d8fad3803dda8da1182ccdc15f.jpg\" alt=\"\" /><a href=\"https://twitter.com/nottsjs/status/1082709269873594368\">photo by @NottsJS</a><p>In July, I wrote a blog post called <a href=\"https://aaronparecki.com/2018/07/07/7/oauth-for-the-open-web\">OAuth for the Open Web</a>, where I detailed the technical solutions IndieAuth provides on top of OAuth to enable it to work in a more open and less corporate environment.</p>\n<p>In October, I published <a href=\"https://hacks.mozilla.org/2018/10/dweb-identity-for-the-decentralized-web-with-indieauth/\">Dweb: Identity for the Decentralized Web with IndieAuth</a> on the Mozilla Hacks Blog.</p>\n<p>So here's to a productive year for IndieAuth in 2018! Looking forward to seeing what new developments come up in 2019!</p>"
Flickr with new owner — aligning with IndieWeb principles? "html": "<p>\nWhen: <time class=\"dt-start\">2019-01-23 17:30</time>\u2026<time class=\"dt-end\">19:30</time><span>\nWhere: <a class=\"u-location h-card\" href=\"https://wiki.mozilla.org/SF\">Mozilla San Francisco</a>\n</span>\nHost: <a class=\"u-organizer h-card\" href=\"http://tantek.com/\">Tantek \u00c7elik</a>\n</p>\n\n<p>\n17:30: Optional writing hour and quiet socializing<br />\n18:30: IndieWeb demos and hack night!<br /></p>\n<p><img class=\"u-featured\" style=\"height:300px;\" src=\"https://aperture-media.p3k.io/indieweb.org/c24f7b1e711955ef818bde12e2a3e79708ecc9b106d95b460a9fefe93b0be723.jpg\" alt=\"Homebrew Website Club retro 1980s-style logo\" /></p>\n<p>Topics for this week:</p>\n<ul><li>Anniversaries! Published exactly one year ago:\n<ul><li><a href=\"https://www.w3.org/TR/websub\">WebSub W3C Recommendation</a></li>\n    <li><a href=\"https://www.w3.org/TR/indieauth\">IndieAuth W3C Note</a></li>\n</ul></li>\n<li><a href=\"https://indieweb.org/2019-01-01-commitments\">Year-end hack projects</a></li>\n<li>\n<a href=\"https://indieweb.org/2018-12-indieweb-challenge\">2018 IndieWeb Challenge</a> completed!</li>\n<li>Flickr with new owner \u2014 aligning with IndieWeb principles?</li>\n<li>Demos of personal website breakthroughs</li>\n<li>Create or update your personal web site!</li>\n</ul><p>\nJoin a community with like-minded interests. Bring friends that want a personal site, or are interested in a healthy, independent web!\n</p>\n<p>\nAny questions? Ask in \n<a href=\"https://indieweb.org/discuss\">#indieweb Slack or IRC</a>\n</p>\n<p>\nMore information: \n<a class=\"u-url\" href=\"https://indieweb.org/events/2019-01-23-homebrew-website-club\">IndieWeb Wiki Event Page</a>\n</p>\n<p>\nRSVP:  post an <a href=\"https://indieweb.org/rsvp\">indie RSVP</a> on your own site!\n</p>"
"html": "Upcoming IndieWebCamps!<br />Sign-up:<br />2/23-24 Austin <a href=\"https://2019.indieweb.org/austin\">https://2019.indieweb.org/austin</a><br />Save weekends:<br />3/09 Online <a href=\"http://indieweb.org/2019/Online\">indieweb.org/2019/Online</a><br />3/30 New Haven <a href=\"http://indieweb.org/2019/NHV\">indieweb.org/2019/NHV</a><br />5/04 Berlin <a href=\"http://indieweb.org/2019/Berlin\">indieweb.org/2019/Berlin</a><br />5/11 D\u00fcsseldorf <a href=\"http://indieweb.org/2019/Dusseldorf\">indieweb.org/2019/Dusseldorf</a><br />6/29 Summit! 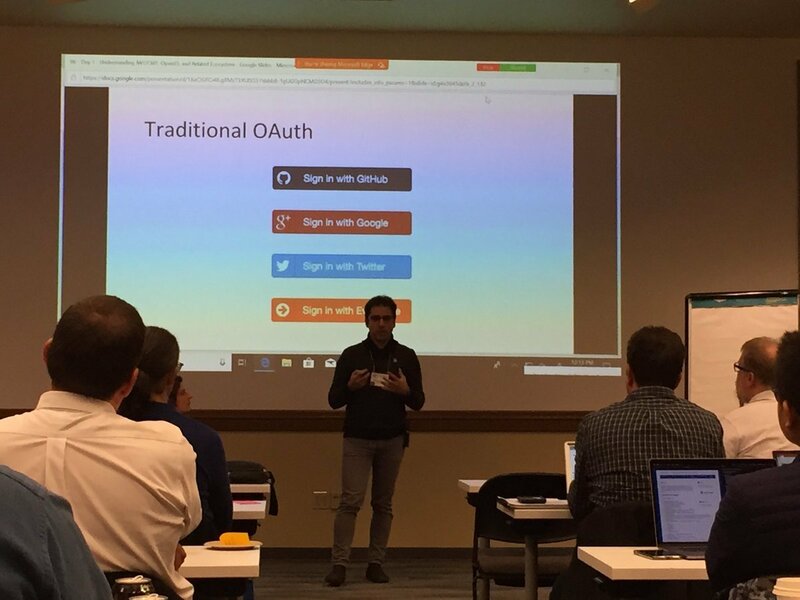 <a href=\"http://indieweb.org/2019\">indieweb.org/2019</a>"
"html": "going to <a class=\"h-cassis-username\" href=\"https://twitter.com/IndieWebCamp\">@IndieWebCamp</a> Austin 2019-02-23\u202624! <br /><br />Join us! Make 2019 the year you own your content and switch social media to just distribution.<br /><br />Limited $5 tickets: <a href=\"https://2019.indieweb.org/austin\">https://2019.indieweb.org/austin</a><br /><br />All levels! Get started, create, innovate. #<span class=\"p-category\">indieweb</span> #<span class=\"p-category\">dweb</span><br /><br />More: <a href=\"https://indieweb.org/2018/NYC\">https://indieweb.org/2018/NYC</a>"
"html": "<p>Inspired by <a href=\"https://cleverdevil.io\">cleverdevil</a>'s <a href=\"https://cleverdevil.io/2019/started-working-on-a-summary-feature-for\">monthly summary pages</a>,\u00a0I started working on my own version of them on my website!</p>\n<p>My month permalinks have shown a calendar grid of all the posts I made during that month for a while, but it's not particularly easy to skim that and actually understand anything from it.</p>\n<img src=\"https://aperture-media.p3k.io/aaronparecki.com/612e5e868f719fb9d273cce03bf3cb72a5b10efe7064ea2ebc2b47c387f7ccd5.jpg\" alt=\"\" /><p>I had recently added a summary of my modes of transport for the month, which is a fun way to see how much I bike in a month compared to how much I'm in airplanes.</p>\n<img src=\"https://aperture-media.p3k.io/aaronparecki.com/334e4ab9fa84906c3f1d90bd52d6b6ebddbe6a99da0d047fcf215c2a68e29225.png\" alt=\"\" /><p>Today I added a few new sections below the calendar.</p>\n<p>First is a list of all the photos I've posted that month. They are displayed in the same style as my photo albums, which are full-width justified, uniform height. It's a neat trick I learned from Flickr, and provides a nice looking photo grid of uniform height without cropping any images.</p>\n<img src=\"https://aperture-media.p3k.io/aaronparecki.com/79c85f1c6edd8560669b3166bf116555fa5e21d8b86eec377dfa36c069292943.png\" alt=\"\" /><p>The next section shows a map view of all my checkins for that month. I didn't want to show a pin for every checkin, since that would be too many pins on the map clustered too close together. So instead I started by grouping by city name. 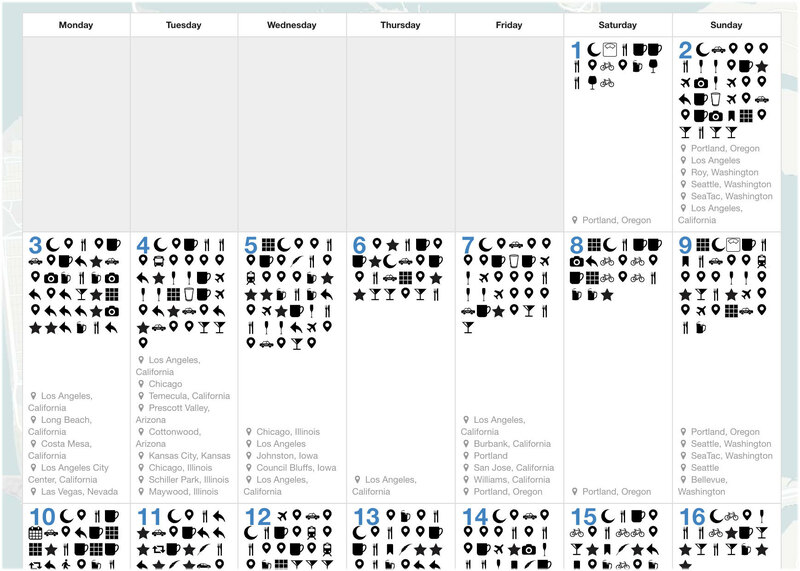 That works pretty well when I travel to a few different cities in the month.\u00a0</p>\n<img src=\"https://aperture-media.p3k.io/aaronparecki.com/8ecb3ba493acdc1303414b7fb6f9c57133ff643f9e700c497b91912c2f491c1d.png\" alt=\"\" /><p>The problem with that approach is if I don't leave Portland for a whole month (it rarely happens these days but still), then the map looks like I didn't even leave a single spot. 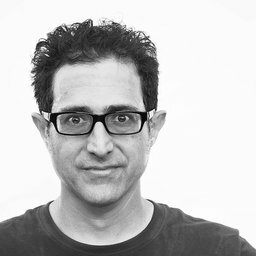 So instead, I actually group by latitude and longitude rounded to the nearest 0.1 decimal.\u00a0</p>\n<img src=\"https://aperture-media.p3k.io/aaronparecki.com/a9585da2a2c0c2bd041a6694811ee763f4f59953ffcb0cdf194d70838f3060f1.png\" alt=\"\" /><p>That way when I don't leave Portland, at least it shows a few map pins around the city.\u00a0</p>\n<p>I should probably switch this to use an actual map pin clustering algorithm, but this was easy and is good enough.</p>\n<p>Below that is a section that shows a list of my \"popular posts\". I decided to rank my posts based on the number of interactions they've received. Replies are weighted the highest, followed by reposts then likes. So if something gets 10 replies, it will beat out a post with only 1 repost. I chose these weightings pretty arbitrarily, spot-checking a few months of data at a time. We'll see how I feel about it after some time.</p>\n<p>So I'm pretty excited to launch this! Thankfully I already had enough things indexed in my database that it didn't require a lot of backend changes, it was mostly just UI and design work. We'll see how this feels for a few months and maybe there will be more things I want to add to it later, but this feels like a good start!</p>\n<p>Thanks to <a href=\"https://cleverdevil.io\">cleverdevil</a> for the inspiration!</p>"
"html": "<p>I\u2019m attending<a class=\"u-in-reply-to\" href=\"https://2019.indieweb.org/austin\">IndieWebCamp Austin 2019</a>!</p>"